This came in today from one of our friends in Sudan: This is a post written by Opheera McDoom, she is the principle of Legacy School in Khartoum where my girls go, and a former Reuters reporter, depicting the revolution in Sudan. Just to give those of you outside the country an idea of the atmosphere on the ground -Sudan now: Governing without a government. As you walk into the area of Khartoum now completely controlled by the young ‘revolutionaries’ down town, you see the difference. Street outside: full of rubbish with plastic bags strewn across the roads. Street inside: clean of rubbish – bags to put your garbage placed strategically around and young men with long hair and skinny jeans roaming around, picking up trash and encouraging others to help. Overnight as the crowds thin out, they wash the roads in teams. People arranging prayer areas and ensuring privacy to do so. Volunteers organising checkpoints every few metres to ensure no one gets through with weapons. Women search women and men search men. “We apologise for the search brothers and sisters. This is for your own safety and your brother’s safety” is the refrain repeated to anyone moving through. A pharmacy run by young volunteer pharmacists to dispense medication to those who need it. Medicine provided by companies and individuals for free. Two blood donation trucks to ensure those injured in the protests obtain the blood they need. People collecting cash contributions and bags of money left at the side of the road for anyone to take if they need money to get home. Shifts organised – the ‘day revolutionaries’ go home at night after the ‘night revolutionaries’ arrive to take over. Tents set up and run by volunteers to arrange cash, water and food donations. Traditional Sudanese hospitality not forgotten – anyone visiting MUST drink tea or water. No cars allowed in unless you’re bringing donations – water, drinks, food. No exceptions or ‘mujamala’ even for foreign diplomats – the U.S. Charge D’Affaires was stopped outside when he came to visit. Street children being fed and looked after – included in this new society. Group parties on every corner singing nationalist Sudanese songs and performing traditional dances. Security? Taken care of. Makeshift blockades of bricks and borrowed razor wire block the roads to stop any attacks at night after a few failed but violent attempts to forcibly disperse the sit-in. Missing the football? Supporters sent a huge screen to watch the last big Barcelona match. Children are given flags and biscuits, carried on shoulders so they can see above the throngs of people. Birthday parties, weddings – you name it, it’s happening right there in the street. Christian Sudanese Coptics holding fabric shades over the heads of their Muslim brothers while they pray under the hot sun. Without any ‘leaders’ whatsoever, these young Sudanese managed to effectively run this sit-in, this mini ‘state’ within the capital, and do so politely, without infighting, ego or provocation. Instead humour, cooperation, unity and solidarity are the order of the day. The Sudanese people have a long and proud history of peaceful change. Reports are coming in from desperately concerned NCF members in Khartoum tonight. Demonstrators are besieged in Buri neighborhood at this moment. Seven have been shot dead thus far this evening. Demonstrators sought refuge in the houses of residents but armed militia has been going in after them. Many are being arrested and being tortured, including the mothers of some of the demonstrators. NCF members in Khartoum are appealing for the intervention of the British Foreign Office whom they regard as having a historic responsibility. They are also begging the world’s press to take an interest in the catastrophe in Sudan. The current demonstrations in the Sudan call for the downfall of the government headed by president Omar Al-Bashir. They have been going on for days now and the government response has been characterised by increasing violence against the peaceful demonstrators. President Al-Bashir has not responded to the demands of the demonstrators calling those that oppose him, “mice”. What is astonishing is the low level of interest being shown in the mainstream international media in the events in the Sudan. We do not understand it. Mr President, the Next Century Foundation wishes to speak today about encouraging peaceful and inclusive dialogue for South Sudan and appeals to the United Nations to promote this dialogue. The human cost of the long-running Civil War in the Republic of South Sudan has been catastrophic. Millions of people have been displaced, millions face starvation and even famine and hundreds of thousands have been killed. Progressive steps and a national dialogue are imperative in bringing an end to the human suffering this Civil War has caused. The Next Century Foundation strongly believes that national dialogue is in the interest of those who wish to see peace in South Sudan. Such dialogue should not be restricted in any way and should be inclusive to all those who are party to the conflict. Therefore, whilst we acknowledge the efforts that have been made via the January and February 2018 establishment of peace talks between the government and opposition delegations, we believe it is important that the former Vice President Riek Machar is included. The perceived opposition leader is currently in exile in South Africa and his access to the South Sudanese peace process is incredibly limited despite being a long-standing key figure in the country’s politics and the Civil War. The NCF believes that it would be beneficial for a national dialogue to include the former Vice President so that all sides can work cohesively to address the great issues facing South Sudan and to finally bring an end to the suffering of the South Sudanese people. The Next Century Foundation calls upon the Government of South Africa to stop its grossly counterproductive detention of South Sudan’s Vice President, an act which is both unethical and illegal. Despite the push for peace talks and dialogue, there have been continued difficulties in moving the talks forward. The African Union, Intergovernmental Authority on International Development and the UN have asserted that “measures should be taken against the so-called spoilers of peace and negotiation”. Inflammatory and controversial decisions and actions are not conducive to progress and have the potential to hinder the peace process. We urge all parties to observe and respect the December ceasefire. Machar’s spokesperson has recently been sentenced to death by the South Sudanese government for alleged treason, an act which of itself is a violation of the ceasefire agreement and has contributed to tensions. We understand that the situation in South Sudan is complex and difficult, but we consider peace to lie in the nation’s future. This will require international support and commitment and, most importantly, the commitment and participation of all South Sudanese factions in the realisation of a progressive national dialogue. Thank you. Sudan was once the largest country in Africa at a million square miles. Then the British ripped it into two using the pretext of a referendum on a rigged ballot in which South Sudanese refugees and those displaced to the North were denied the vote. All this “for the good of Sudan”. It is way past time for us to stop “playing the Great Game”. We are not good at it and we were never good at it. And now the North is riven by war, and South Sudan is riven by war. And come the day they solve that, they will probably start fighting each other. Unless, that is, we start seeing a little brotherly love. And the easiest conflict to solve is the worst of conflicts, that in the South Sudan between Southerners backing the President and Southerners backing the exiled Vice President. President of South Sudan, the war leader Salva Kiir, sits in Juba, the capital. The exiled vice president, his political rival Reik Machar, sits in South Africa. And church leaders go back and forth between them. Which doesn’t work. What is needed is a conference for representatives of both sides to come together. And not in South Sudan. Nor in South Africa. Nor in any other Arab or African country, all of which will be regarded as parti-pris. No, it should be in Britain. After all, we were the ones who created the mess in the first place. And why not go for the whole deal while we are about it. A conference on all the issues of the South and the North, as all the issues are interrelated, with Northerners fighting for factions in the South and vice-versa. Indeed, with everyone fighting each other. Worth a shot wouldn’t you say? Perhaps we’ll try it. Somebody should. FGM: Why have we not eradicated it yet? Female Genital Mutilation (FGM) causes severe bleeding and health issues including cysts, infections, infertility as well as complications in childbirth. It affects at least 200 million girls and women alive today. Despite this, very few charities, Non-Government Organisations or activist groups focus on this as one of the most serious issues the globe currently faces. FGM could be eradicated within one generation yet the current response to FGM by government and the media is one of denial and inaction. Why is this? The UN defines FGM as all procedures that involve altering or injuring the female genitalia for non-medical reasons and this is recognized internationally as a violation of the human rights of girls and women. FGM is a global problem, not just an issue facing central African countries, and should be tackled as such. The UN have been ignoring the prevalence of FGM globally most particularly in parts of the Middle East and Asia. Indian activist, Masooma Ranalvi, recently urged governments and donor countries to help fund research and data collection in Asia at the 2017 ‘Ban FGM’ conference in Rome. This would allow a much better picture of the seriousness of FGM across the globe and would help to spotlight which countries and cultures need the most attention. It is not just a lack of funding and research which undermines attempts to eradicate FGM. Many cases of FGM go unreported but cases which are reported tend to have very lenient prison sentences. This sends the wrong signal to those who continue to practise FGM. In January 2017, four people were prosecuted for FGM after 17-year-old Mayar Mohamed Moussa died from undergoing a procedure in Egypt. Mayar’s mother and doctor were given a fine of £1000 (EYP) and a suspended sentence of only one year. Lawyer Reda Eldanbouki, who was representing Mayar, expressed shock at the sentences saying “it is unfair and unjust and will be ineffective as it sends the wrong signal”. A serious side effect has occurred because of the pressure that is starting to be put on communities that perform FGM in Africa. There are a greater number of reports suggesting FGM is being performed on much younger girls and in the dead of night in order for people to avoid the consequences of the law. This ‘under the radar’ approach makes it more complicated for authorities to effectively deal with the problem. The UN and human rights groups need to come together to stop these inhumane procedures by educating people on the dangers of procedures being done incorrectly or in unsanitary conditions. We have an obligation as compassionate humans to eradicate FGM and help to rebuild the lives of the millions of women and girls it has already affected. The conflict in Darfur is worse than ever, the Government’s forces and militias continue to kill civilians with complete immunity (the rebels too), yet the atrocities remain completely out of the news. Journalists lazily continue to quote 300,000 deaths, despite the fact that they have been using that figure since 2005! It must have been countless deaths by this point, and that’s before we think of the drought, floods (very bad this month, destroying the crops) and poverty. More babies are dying today and each day from severe malnutrition across Darfur but no one knows or is doing anything about it. The UN has described Sudan’s western Darfur region as one of the world’s worst humanitarian crises, with more than 2.3 million people displaced, most of them living in squalid camps in Darfur and neighbouring Chad (this figure is based on the 2015 figures which has yet to be updated – further evidence of a lack of interest in the region). Peacekeepers and aid workers have restricted access to those in need, yet the ongoing hardship for the people of Darfur is eclipsed in the news by other crises such as that of the Syrian Refugees. The conflict flared up in 2003 when rebels in Darfur took up arms, accusing the government of neglecting the region. The government responded with a counter-insurgency campaign. Since then, civilians have come under attack from government troops, pro-government militia and rebel groups. Arab militias are also fighting each other, and there are frequent clashes between tribes. Levels of violence fell after 2005, but have risen since the start of 2013. Nearly 400,000 people were displaced in the first half of 2014 alone. The question remains, how do we help people to realise the issues that plague Darfur remain with us and pay at least some attention to them? President Salva Kiir Mayardit and Vice-President Riek Machar Teny during happier and more agreeable times. South Sudan is arguably experiencing its greatest level of crisis since its independence in 2011. President Salva Kiir Mayardit and his deposed Vice-President Riek Machar Teny have divided the country and caused a civil war that does not appear to be coming to an end, despite poorly conceived and ill thought out token UN sanctions that were issued in August 2015 and the threat of more if a ceasefire was not called. The country has been plunged into chaos since the war began in 2013, caused by a mixture of personal problems and ethnic conflicts. President Kiir and Vice-President Machar represent the two largest ethnic groups, Nuer and Dinka, and the apparent ethical reasons for war has created extreme tension, distrust and hatred amongst the South Sudanese people. Amnesty International have documented instances of door-to-door searches for men of particular ethnicity and in one case reported that 200-300 Neur men were shot at a police station in Juba, the capital of South Sudan. Other instances of mass killings, sexual violence and other war crimes, committed by both sides, have been reported by journalists and human rights groups. It is estimated by the UN that there are around 9000 child soldiers in what is an extremely bloody and violent war. The Sentry reported that around 2.3 million people have been displaced from their homes since war broke out and suggest that the war is about a struggle for power and nothing to do with ethnicity. The excuse of ethnicity is arguably just being used to gather support for either side, but it is working and has split South Sudan causing families and communities to be ripped apart. Their report argues that the war only serves the personal agendas of each man and the groups of elite leaders who profit from the conflict. This confusion, lack of unity and divisive leadership perpetuates the chaos which is at a tipping point and this is likely to continue until the UN steps in and applies harsher punishments to bring the war to a swift end. 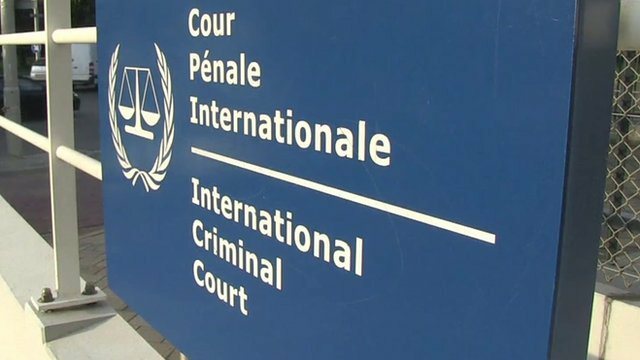 The relationship between the United Nations Security Council (UNSC) and the International Criminal Court (ICC) has continued to deteriorate since the decision in December 2014 to shelve Darfur war crimes probe. The ICC ruled that Sudan had failed to arrest Omer Hassan al-Bashir over alleged war crimes in the western region of Darfur and passed the case to the Security Council to take “the necessary measures they deem appropriate”. This request came three months after the ICC’s chief prosecutor, Fatou Bensouda, said she was suspending her criminal investigations of Darfur atrocities because they could not make progress without cooperation from Sudan and coercive pressure from the Security Council. Sudan is not a state party to the ICC Rome Statute and has no obligation to cooperate with the ICC. Sudan cooperated with the court until the first arrest warrant against Janjaweed leader Ali Kushayb and former state minister for interior Ahmed Haroun were issued in 2007. Despite findings of non-cooperation being referred by ICC judges to the UNSC, the council has declined to take action mainly over China’s likely move to block any resolution that would compel Sudan to cooperate. Following this, Sudan’s information minister Ahmed Bilal Osman stated that, “The decisions of the ICC are not in any way binding to the Sudanese government and raising Sudan’s case with the Security Council reflects the failure of the ICC.” He also went on to claim that “The ICC knows it doesn’t scare Sudan at all.” This clearly indicates the ICC’s standing in Sudan with Bashir and his fellow cronies continuing to thumb their noses at the court. The ICC’s pre-trial chamber I issued an arrest warrant for President Bashir, on 4th March 2009 on charges of genocide and war crimes in Darfur, along with defence minister Abdel-Rahim Mohamed Hussein, former state minister for interior Ahmed Haroun and Janjaweed leader Ali Kushayb. The chamber claimed there were reasonable grounds to believe that Bashir is criminally responsible for five counts of crimes against humanity and two counts of war crimes. The same chamber, albeit with a different composition, issued a second warrant of arrest for Bashir on 12 July 2010, for three counts of genocide. UNSC referrals have proved the most contentious route to achieving ICC jurisdiction, as has been the case with Sudan and Libya. Therefore the controversy with ICC referrals by the UNSC is that they may be regarded as a violation of State sovereignty and non-intervention, two principles enshrined in international law. Inaction by the UNSC may be due to the strong outrage from the African Union and controversy surrounding the arrest warrant for a standing Head of State. Following intense criticism from members of the international community, the UNSC should have perhaps chosen to pursue reconciliation in Sudan, rather than further exacerbate the problem by facilitating the prosecution of Bashir. The biggest flaw of the ICC is that its effectiveness depends on the cooperation of governments. It is not the independent judicial body it pretends to be. Its jurisdiction can be dictated at the say-so of the Security Council. In the last six years, all the ICC and UNSC have done is pass the Sudan case back and forth between themselves with not one single suspect in custody. Many experts are beginning to say that the ICC is a failed experiment. Given that the ICC operates in a hostile political environment with its personality clashes and poor management, it was only a matter of time before it faced serious obstacles. Even Israeli Prime Minister Benjamin Netanyahu is planning to launch a campaign to discredit the legitimacy of the ICC, following its announcement that it would pursue a war crimes probe against Israel over its 50-day attacks on Gaza last year. Is the lack of backing from the US, Russia and China the reason for its lack of credibility and failure to be taken seriously as an international organisation? More than a decade after its creation, the ICC is still struggling to find its foothold, jeopardising its already fragile reputation as a truly global court.